Orange is one of the iconic colors of autumn. It also happens to be a very hot color for weddings these days, making it truly perfect for a fall wedding. 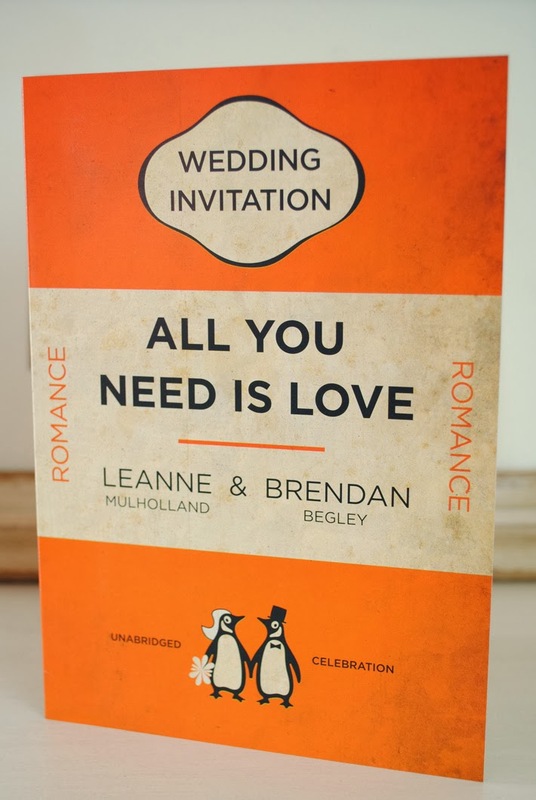 From flowers to attire, food to decorations, these are some wonderful ideas on how to spice up your wedding with lush orange accents. The right shade of orange can be gorgeous for bridesmaid dresses. A sophisticated mango hue is a fantastic color that is surprisingly wearable. Deep orange with a lot of red is also quite a versatile color that looks flattering on most women. Enhance the color by choosing a dress in a fabric like silk dupioni which has a little bit of iridescence; it will look so beautiful when the undertones show through as the bridesmaids walk down the aisle in their dresses and elegant bridesmaid jewelry. With such a bold color for the dresses, clear crystal bridesmaid jewelry is ideal. The only dress shade to be careful about is pumpkin orange. While it can look terrific in a chic modern dress, it also runs the risk of making heavier bridesmaids feel like pumpkins. A deeper orange hue tends to be safer and less Halloween-ish. 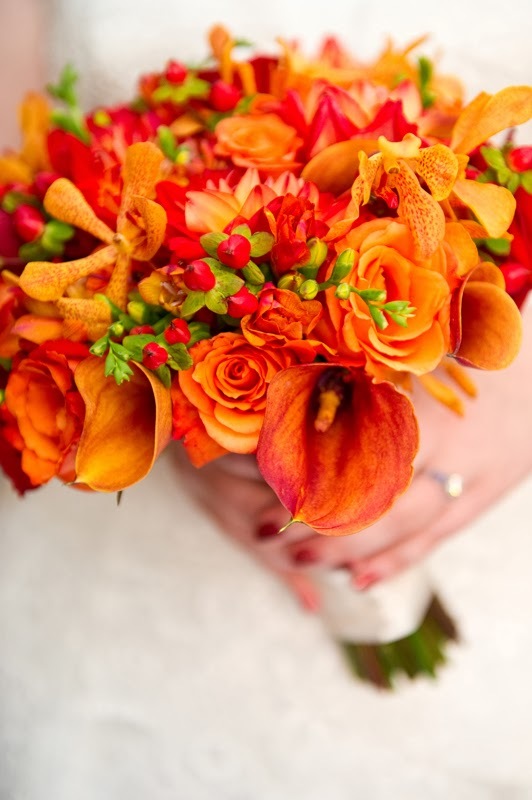 There are numerous choices for orange flowers for fall weddings. They can range in style from classic to sophisticated to rustic. Among the most elegant choices are orange Vanda orchids and mango calla lilies. They look spectacular in mixed flower bouquets for brides or bridesmaids. It is ideal if you like the rich color of orange, but are not doing a casual fall foliage wedding. For the more classic rustic fall style, you will have an abundance of mums, dahlias, and zinnias from which to choose in your signature hue. The traditional bride will find that roses come in a fabulous array of orange hues such as russet, terra cotta, flame, and coral. Add texture to bouquets and centerpieces by mixing in accents such as burnt orange hypericum berries or Chinese lantern pods. Play up the rich fall colors with chocolate brown ribbons on the bouquets or go for a fresh contrast with green bouquet wraps. 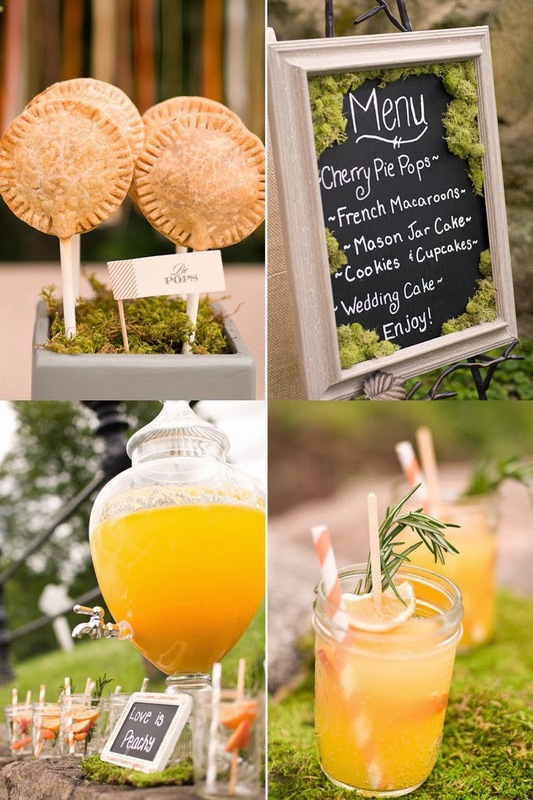 It would be fun to introduce your special orange color into the reception food and drink. Design a signature cocktail in your favorite shade of orange. Ideas include a pomegranate martini, blood orange martini, or Champagne cocktail with orange juice and grenadine. Include pretty orange hued appetizers in the cocktail hour such as spiced pumpkin soup shooters for a fun touch (obviously you need not go overboard trying to make all the appetizers fit a color scheme!). Not only will it fit in with your color palette, the soup shooters are the perfect warm and cozy food for a chilly autumn day. 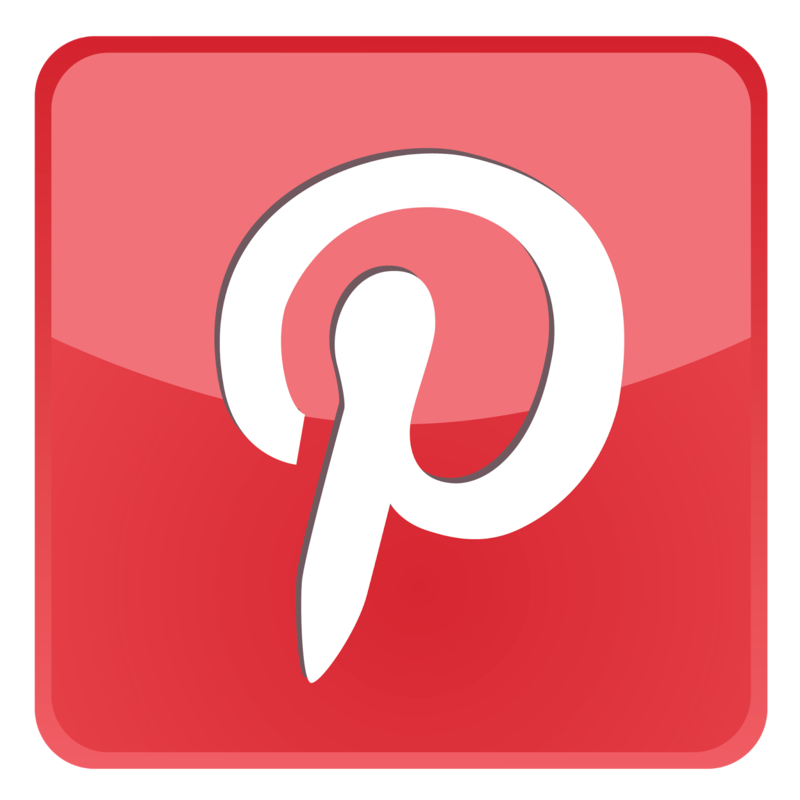 Certainly you will want to design a wedding cake that fits in with your wedding design. A three tier cake frosted in ivory buttercream in a basketweave texture would be marvelous for a fall reception. Decorate it with seasonal blossoms like mums and dahlias on the tiers. 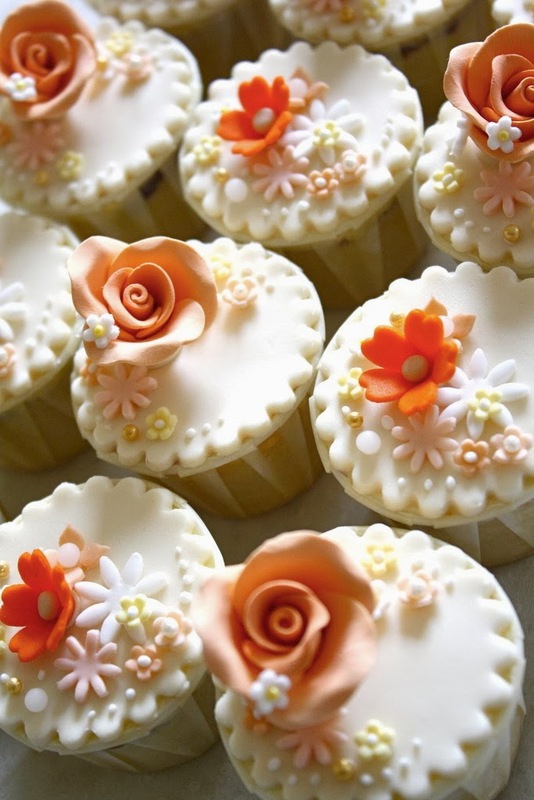 For a more contemporary style, a crisp white cake decorated with sugar orchids in mango and flame would be exquisite. Another fun idea is a pumpkin orange frosted cake decorated with white Swiss dots and green button mums for the cake topper. A rich spice cake would be well suited to this whimsical autumnal wedding cake design. 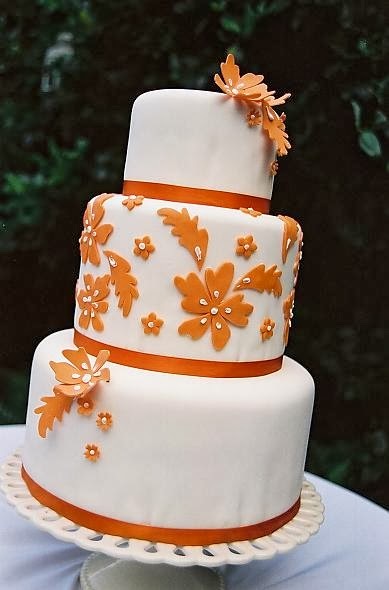 Orange accents can be used in an autumn wedding in many more beautiful ways. You could personalize your invitations with an elegant russet script monogram, dress up the tables in terra cotta silk linens, or tie up the wedding favors with mango colored ribbons. 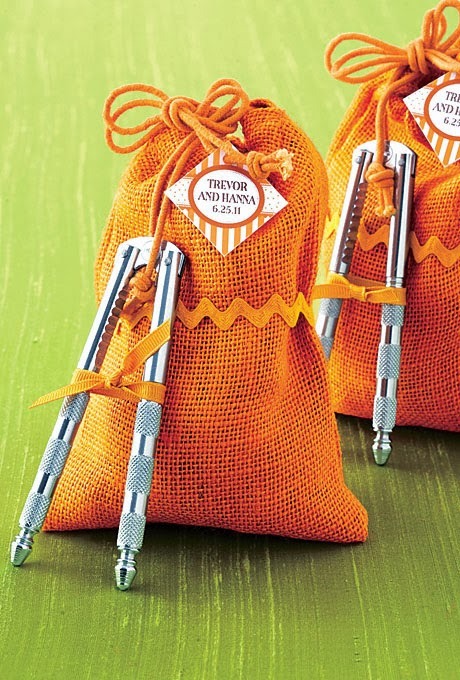 The exuberance and richness of orange make it the ideal hue for a fall wedding celebration.